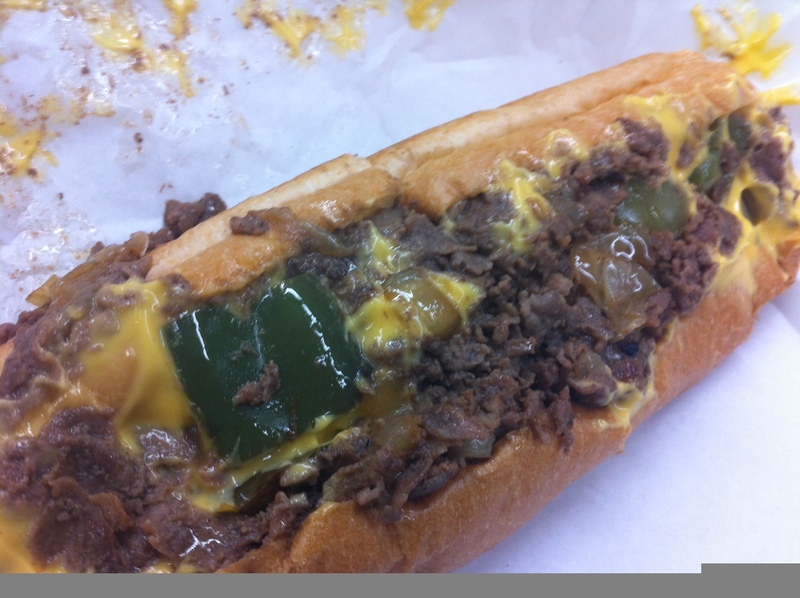 Pop's serves the quintessential cheesesteak in Vegas. It's undeniable. Anybody who has been in Vegas for long knows the funny little A-frame building on Decatur Boulevard that was once an original Weinerschnitzel -- the structure is nearly 50 years old now -- is the absolute top spot for a cheesesteak, the closest point to Philadelphia in Sin City. We only eat the whiz steak at Pop's. So what you're looking at is a fluffy-soft, 9-inch roll baked by the Amoroso company in Philadelphia, completely packed with paper-thin slices of grilled sirloin, sauteed onions, bell peppers and mushrooms, and a generous slathering of original Kraft-brand Cheez Whiz. It's the perfect combination of tangy cheesishness, crispy veggies and savory, satisfying meat. It's huge, and it's about 10 bucks. The best part is eating it outside on the patio at Pop's, where you would never know you're in Vegas.